Small rice or grain shaped pasta. Risi is slightly smaller than orzo. 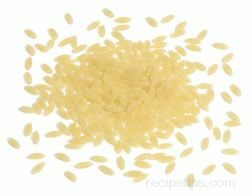 It is also referred to as risoni or pasta a riso.